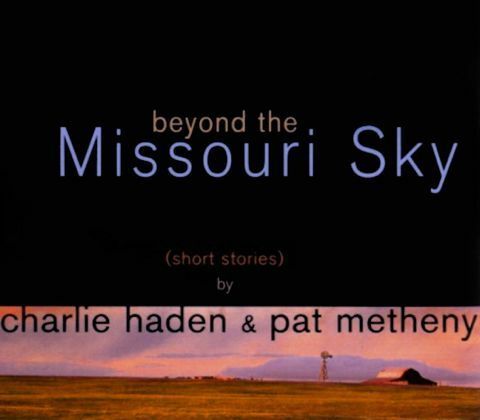 Here is Pat Metheny’s solo from the Charlie Haden tune “Waltz for Ruth” from the record “Beyond the Missouri Sky”. 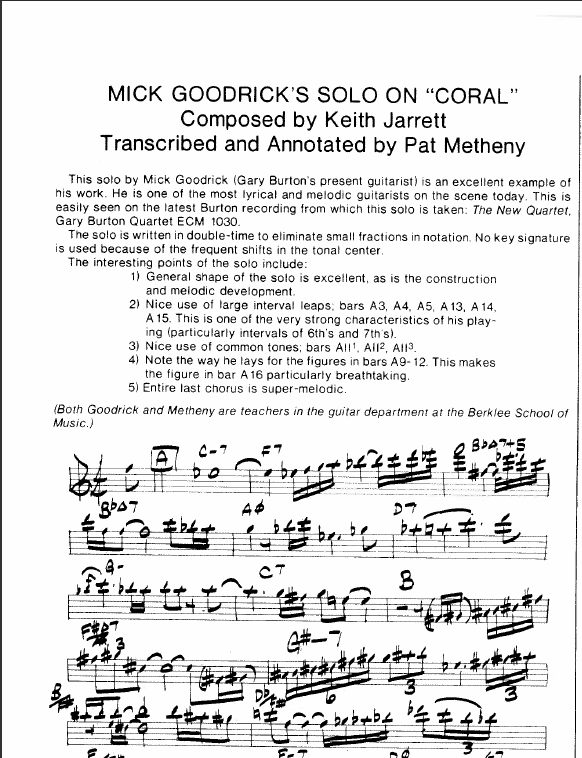 In a previous post I transcribed the tune and have always wanted to learn Pat’s solo. The solo is so simple, no fancy re-harms, or note choices, or anything superficial or overly hip. The beauty of the solo is in the melodic and rhythmic content of the lines. A great balance of legato eighth notes and thematic rhythmic ideas as well as simple diatonic melodies balanced with chromatic lines.